When the Optoma DH1011 projector lamp approaches end of life, a replacement message will flash on screen. You may also notice the picture quality starting to have poor resolution with washed out colors. Change your projector lamp immediately. The projector will not work if the lamp has burnt out or broken. 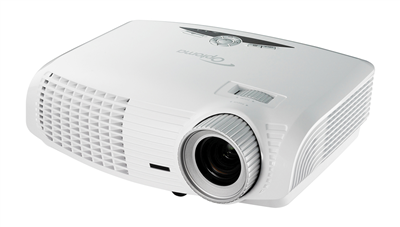 Your Optoma HD25 projector uses the Optoma BL-FU240A. BL-FU240A Optoma Projector Lamp Replacement with cage assembly. Projector Lamp Assembly with High Quality Genuine Original Osram PVIP Bulb Inside. Learn 7 ways to spot a counterfeit projector lamp. Switch off the power to the Optoma HD25 projector by pressing the Power/Standby button. Allow the projector to cool down for at least 30 minutes. If should be cool to the touch. These projectors run using high temperatures and you can burn yourself badly if you don’t allow the projector to cool down. 1. Use a screwdriver to undo the two screws holding the lamp cover in place. The screws on the lamp cover and the lamp cannot be removed. 2. Remove the lid and place to one side. Don’t lose the lid as the Optoma HD25 projector will not turn back on until the lamp cover has been properly installed. 3. Remove the two screws holding the Optoma BL-FU24 in place. Note: The used Optoma BL-FU24 lamp contains mercury and should be properly recycled. Don’t throw it into regular garbage. Please recycle this lamp. 4. 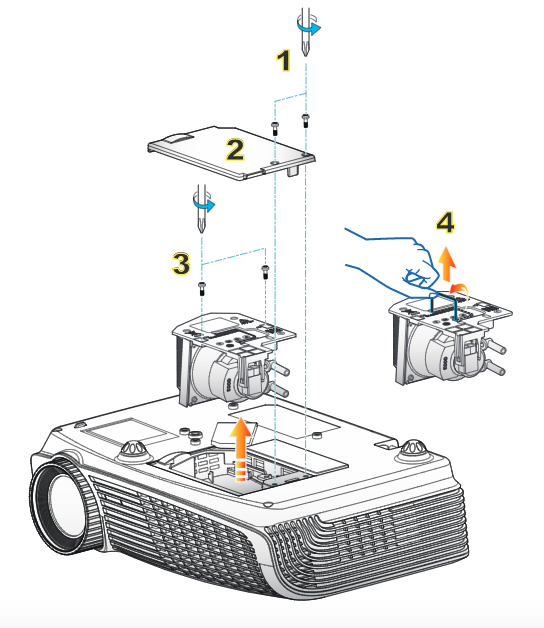 Lift up the wire handle on the Optoma BL-FU24 lamp and slowly remove it from the projector. Be careful not to bang the lamp against the projector as this may case the bulb to break. Learn how to clean up a broken lamp. 5. Remove the new Optoma BL-FU24 from its packaging. Taking care not to touch the actual bulb, lift up the handle on the new lamp and insert it gently into the Optoma HD25 projector. 6. Tighten the two screws on the lamp. 7. Replace the lamp cover and tighten its two screws. You are now ready to reset the Lamp Replacement Timer. The Optoma HD25 projector has an automatic lamp timer that tracks the numbers of hours left in the lamp. 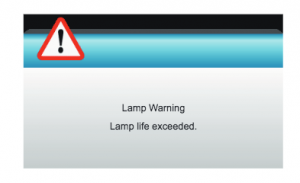 If you don’t reset the lamp replacement timer you run the risk of the lamp being used beyond its recommended life and possibly exploding in the projector. Make sure there is enough airflow around the Optoma HD25 projector particularly if it’s been permanently mounted.